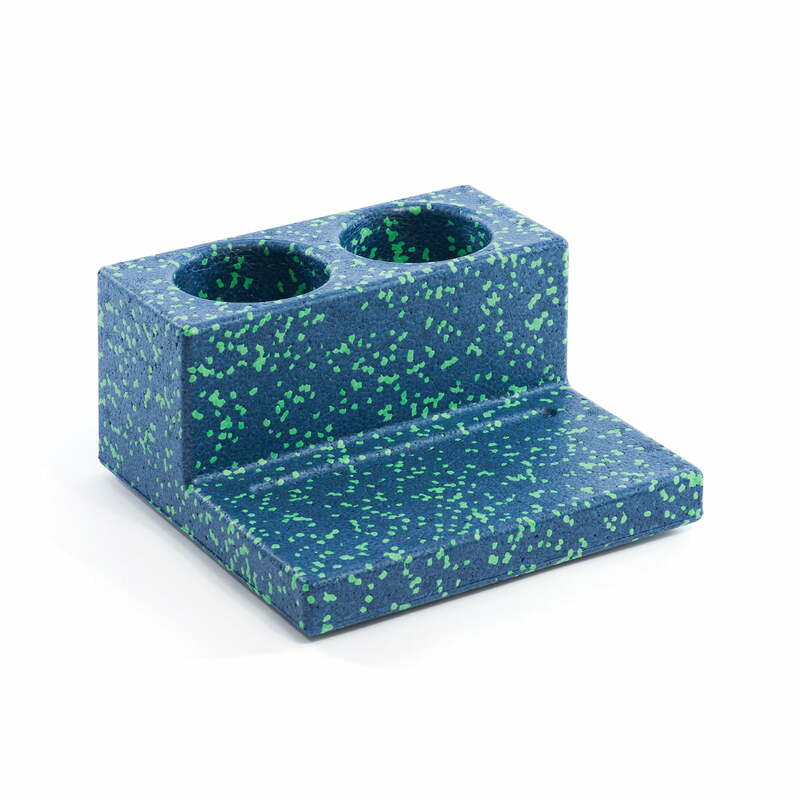 The Unit pen holder from Mark Braun for L & Z convinces with its functional and modern look and looks great on any desk. 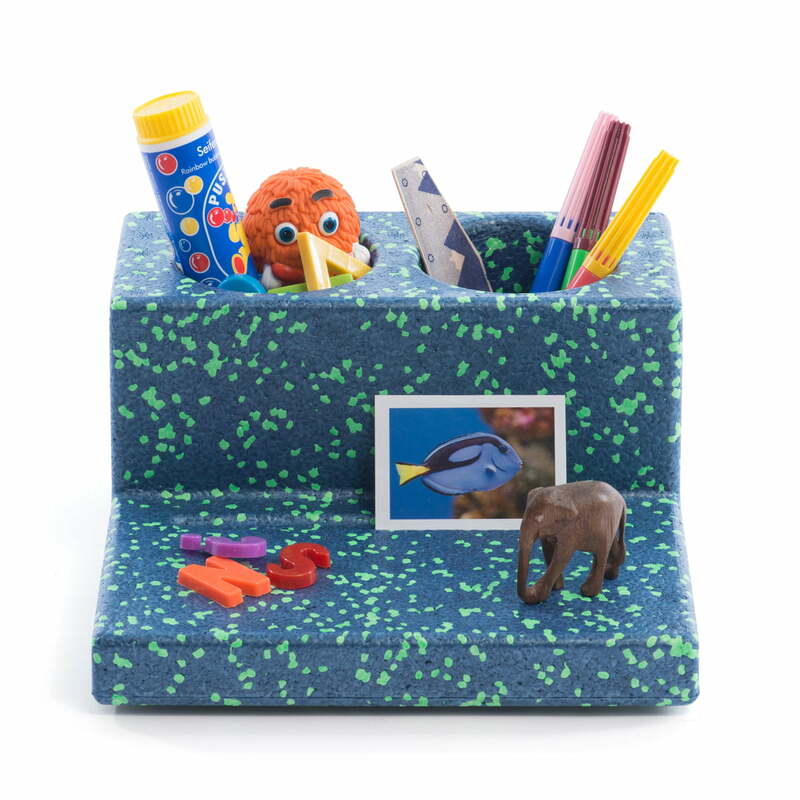 Created for a contemporary working environment, the pen holder offers space not only for pens, but also for business cards or smartphones. 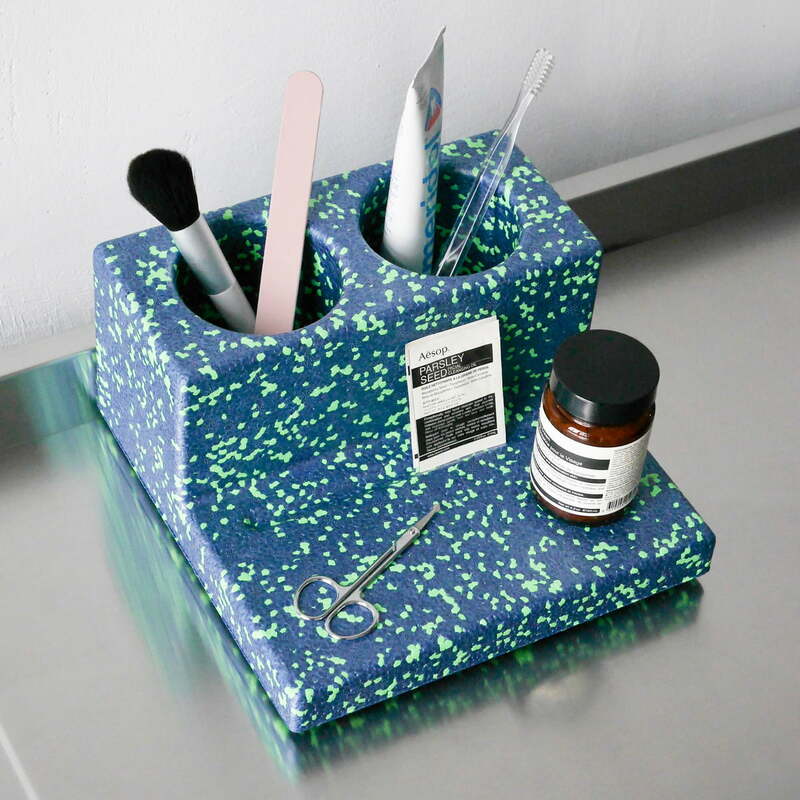 The holder is also great for storing cosmetic brushes and creams in the bathroom. With its terrazzo-like pattern, the holder looks good in any room. 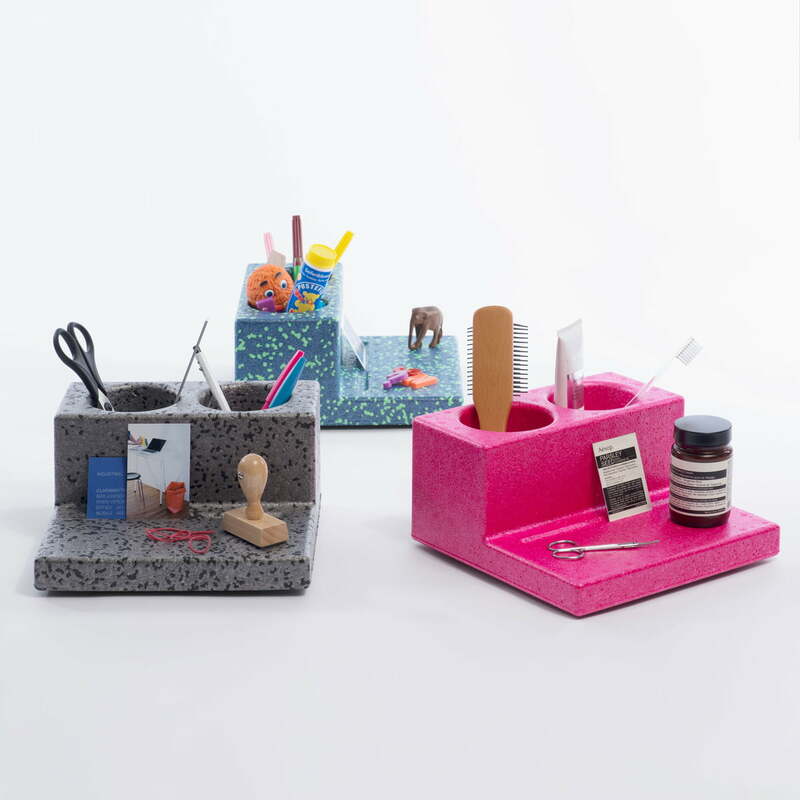 In addition to the pen holder, Mark Braun's small series also includes a unit paper tray . The Unit pen holder from L & Z made of EPP in mixed jeans in single view. EPP is 100% recyclable, harmless to health, waterproof, extremely robust and durable. 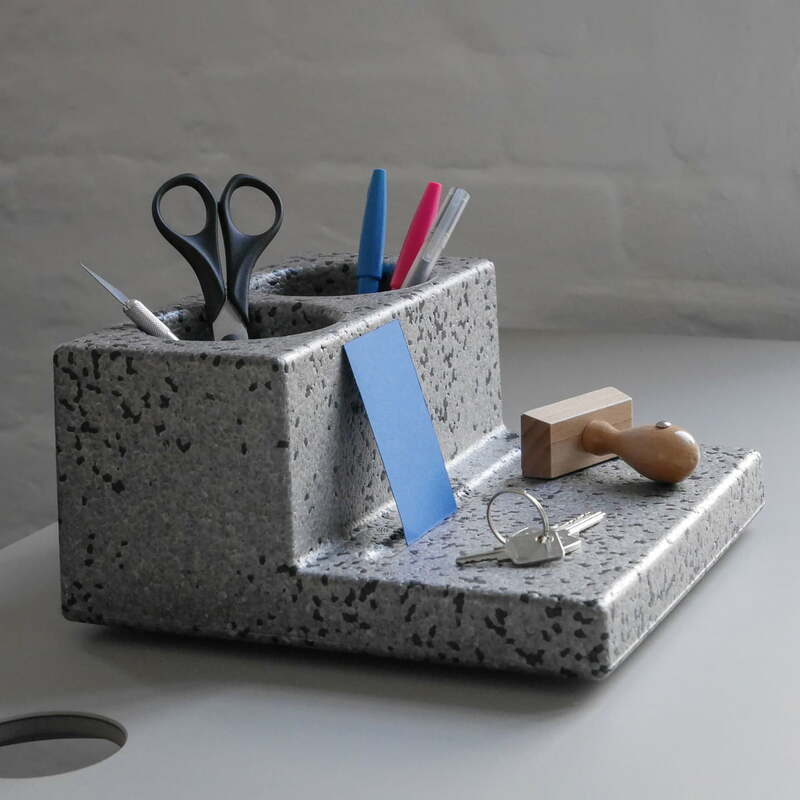 Designed for a contemporary working environment, the Unit pen holder from L & Z offers space not only for pens, but also for business cards or smartphones.